George Frost Kennan (February 16, 1904 - March 17, 2005) was an American advisor, diplomat, political scientist, and historian, best known as "the father of containment" and as a key figure in the emergence of the Cold War. He later wrote standard histories of the relations between Russia and the Western powers. In the late 1940s, his writings inspired the Truman Doctrine and the U.S. foreign policy of "containing" the Soviet Union, thrusting him into a lifelong role as a leading authority on the Cold War. His "Long Telegram" from Moscow in 1946, and the subsequent 1947 article "The Sources of Soviet Conduct" argued that the Soviet regime was inherently expansionist and that its influence had to be "contained" in areas of vital strategic importance to the United States. These texts quickly emerged as foundational texts of the Cold War, expressing the Truman administration\'s new anti-Soviet Union policy. Kennan also played a leading role in the development of definitive Cold War programs and institutions, most notably the Marshall Plan. Shortly after Kennan\'s doctrines had been enshrined as official U.S. policy, he began to criticize the policies that he had seemingly helped launch. By mid-1948, he was convinced that the situation in Western Europe had improved to the point where negotiations could be initiated with Moscow. The suggestion did not resonate within the Truman administration, and Kennan\'s influence was increasingly marginalized�particularly after Dean Acheson was appointed Secretary of State in 1949. As U.S. Cold War strategy assumed a more aggressive and militaristic tone, Kennan bemoaned what he called a misinterpretation of his thinking. 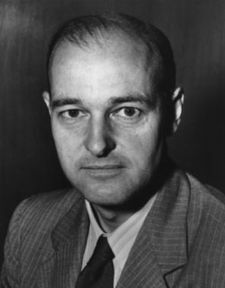 In 1950, Kennan left the Department of State, except for two brief ambassadorial stints in Moscow and Yugoslavia, and became a leading realist critic of U.S. foreign policy. He continued to be a leading thinker in international affairs as a faculty member of the Institute for Advanced Study from 1956 until his death at age 101 in March 2005. Before his meeting with Khrushchev, Kennedy prepared intensively by talking to a number of American experts on the Soviet Union, such as George F. Kennan and Llewellyn E. Thompson. However, the President was unprepared in the sense that he had never been in a meeting like that one before. The veteran US diplomat and Soviet expert George Kennan had written in 1997 that “expanding NATO would be the most fateful error of American policy in the entire post-Cold War era” and that such a decision might be expected “to restore the atmosphere of the Cold War to East-West relations”. Tillerson Fact File - Who is US Secretary of State? HONG KONG: US-CHINA RELATIONS - BACK TO THE FUTURE? The diplomat George Kennan's private diaries revealed him to be a bigot, but his nasty opinion of foreigners (he described an Italian he met as a “typical dago ... talkative in a weak, ignorant, furtive, sneering way,” and called Iraqis “a population unhygienic in its habits”) came out only after his death. HELP UNWANTED Bonobos, such as this adult male housed at an African sanctuary, prefer individuals who hinder others over those that help, a new study finds. In contrast, humans typically favor helpers over hinderers, starting in infancy. C. Krupenye. Email. Email. Print. Print. Twitter. Twitter. Facebook. During this period, U.S. foreign policy was guided by the intellect of George F. Kennan and a group of colleagues know as “The Wise Men. ... ignorance, told the author that he did not need any new grand strategy; “I don't really even need George Kennan right now”- but, rather the right strategic partners. Is Donald Trump Channeling George Kennan? In his own way, Trump may be fulfilling the long held ambition of George Kennan on the world order. And while the transition is risky, it may ultimately be for the best. To see why, we need to realise just how different US policy is today compared with the vision of the man credited with its post-war creation. George F. Kennan's Cold War. “Political warfare” is a form of strategy that leverages all of the diplomatic, informational, military, and economic capabilities at a nation's disposal to achieve its strategic objectives. Best described in a 1948 State Department memorandum by US Ambassador George Kennan, political warfare involved:. Averell Harriman. George F. Kennan. George C. Marshall. John J. McCloy. Harry Truman. They were visionaries who sewed capital into the war-torn nations of Europe through the Marshall Plan to speed the recovery of friend and foe alike, and not incidentally, open new markets for American manufacture. A Century After "Ten Days"